Apple's notification system for iOS was in desperate need of a revision ever since they removed app grouping for new alerts. In iOS 12, they finally brought that back, new and improved, but Apple has also added more useful notifications features, such as Instant Tuning, which helps you quickly manage how notifications come in for each app — if you even want them to. With Instant Tuning in iOS 12, you can alter notifications from any app so that they don't bombard your lock screen over and over again. 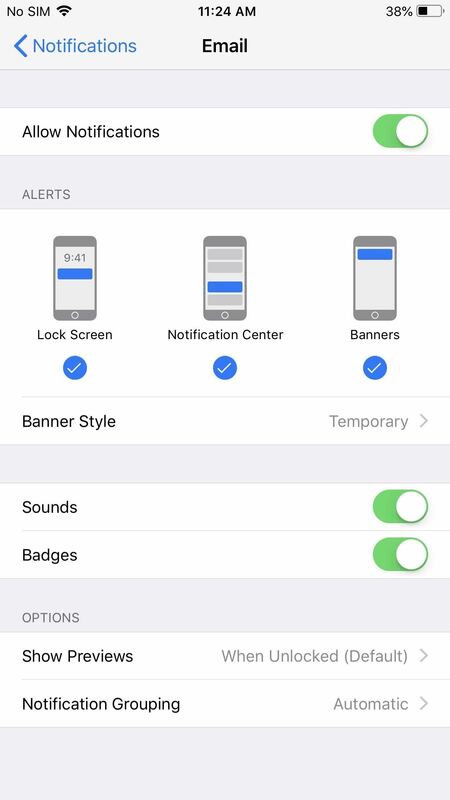 Using the tool, you can remove future notifications from arriving on the lock screen or turn off notifications from individual apps. This way, when you check your iPhone, only the alerts you want to see will appear. The Instant Tuning feature is much better than digging through the Settings and trying to remember which notifications bugged you — a hard task for anybody — since now you deal with them right when they annoy you, not later. While in the Notification Center, swipe left on any alert, then choose "Manage" from the three buttons that show up. Alternatively, you can 3D Touch a notification, then tap the ellipses icon (•••) on the notification to access the same menu. A popup will emerge with two prominent buttons: "Deliver Quietly" and "Turn Off." 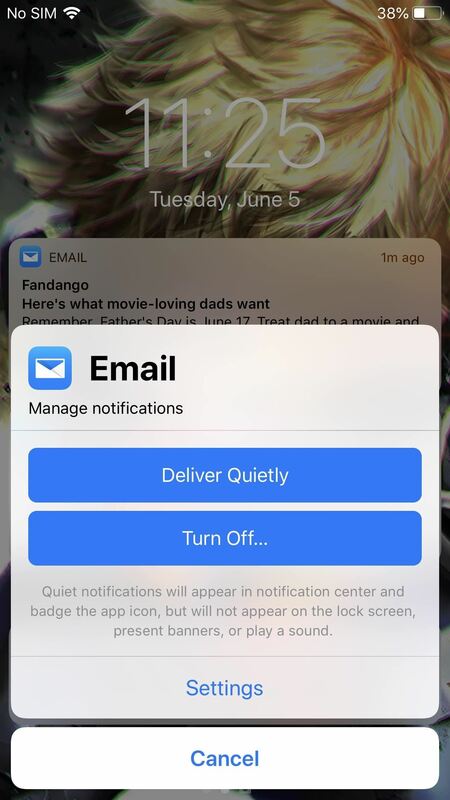 With "Deliver Quietly," future notifications will skip your lock screen and only appear in the Notification Center. There won't be sounds or vibrations, and no banner will surface. The app's badge will still appear, though. In other words, it's like turning off Lock Screen Alerts, Banner Alerts, Sounds, and Badges manually, only three or four steps versus seven. On the other hand, if you choose "Turn Off" from this menu, you will no longer receive any notifications from the app. 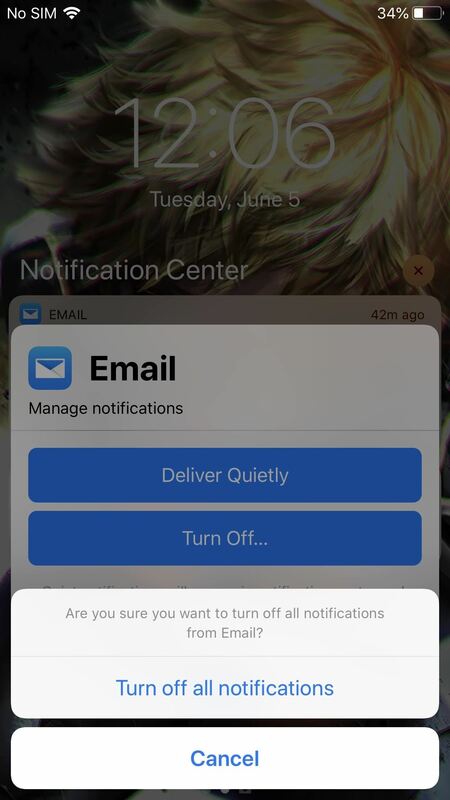 On this same popup, there's also a "Settings" button which will direct you to the individual app's notification menu, where you have even more controls to manage the appearance of its notifications. If you decide to choose "Deliver Quietly," you can undo this action by swiping left on the notification again, choosing "Manage," and selecting "Deliver Prominently." Instant Tuning is a part of Apple's new push into protecting your digital health. Since notifications are among the most addictive qualities of our iPhones, any tool to better manage them will help us to spend less time on our phones.